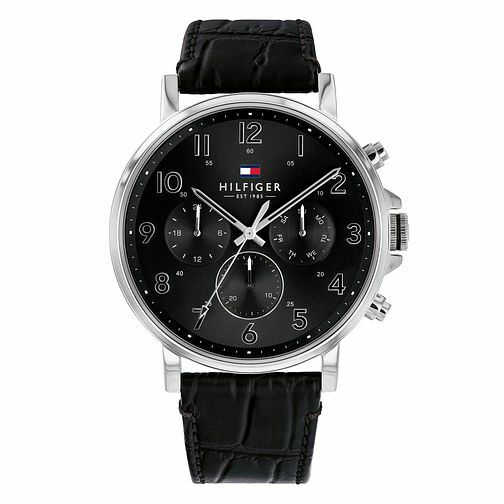 A sophisticated men's watch by Tommy Hilfiger, presenting a bold black dial within a round rose gold plated case. Arabic numerals mark the hours with rose gold accents, co-ordinating with the hands powered by quartz movement and three subdials. This classic timepiece is complete with a brown textured leather strap. Smart wristwear for the modern man.